Aston Martin, one of the posh and well-renowned automobile manufacturers in the world, has launched yet another vehicle in India. 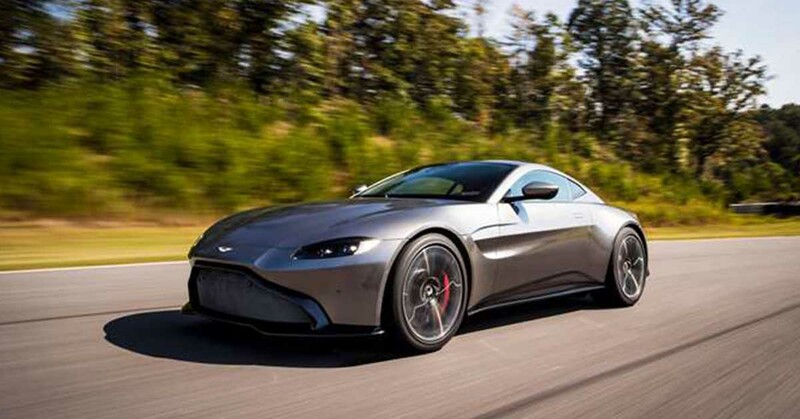 The popular British Automaker’s most affordable offering yet, the 2018 Vantage has been officially launched in India at a sticker price of Rs 2.86 Crores. The new gen Aston Martin Vantage gets a complete overhaul from its predecessor. The baby Vantage is powered by a 4.0-litre, 510PS/685Nm twin-turbo V8 mated to an eight-speed transmission which can do a 0-100 in 3.6 seconds. It is lighter, more powerful and certainly a lot faster than the older version. The coupe comes with adaptive dampers and it is the first Aston Martin ever to be fitted with e–differential. Its design has been inspired by the company’s supercar, the Vulcan. The new Vantage carries forward the brand theme of sharp, clean-cut looks. A huge grill on the front gives it a very aggressive stance. A generous ground clearance of 122mm makes it slightly more easy to use on city roads. The front end includes a splitter to channel the air under the car which, along with outlets on the side, allows air pressure to escape from the wheel arches and provide a greater downforce. The swift rear lid has been a controversial component, which to us looks great. The new center console unit is the center of attraction for the passengers with ergonomic design and leather stitching. The cabin is more suppressed from the noise outside and feels roomier. There are various customization options available for the customers, to provide a bespoke experience. Vantage poses as a threat to the likes of Mercedes AMG GT, Porsche 911 Turbo and the Audi R8. The new Vantage, as per Aston Martin, is an extremely practical car. It can be used by customers on a daily basis, yet they won’t feel any lack in the exclusivity. With less than 500 cars in the whole of India, owning an Aston Martin surely gets you a ticket to the Privileged club of Aston owners.